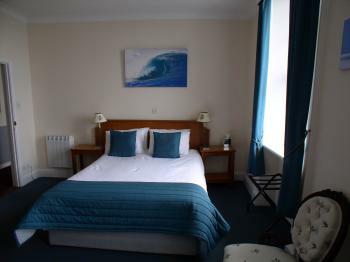 The recently refurbished, double room has a new double bed, "soft as silk" linens, a flat screen TV with limited satellite service, excellent wi-fi internet, refrigerator, tea and coffee making facilities, iron and ironing board, hairdryer and USB charging sockets.There is an en-suite shower room. 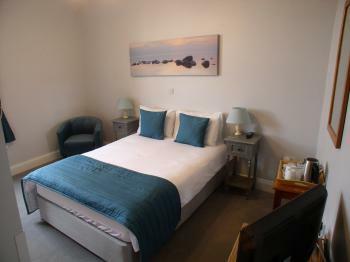 This is a quiet room with a view across the village to the harbour. 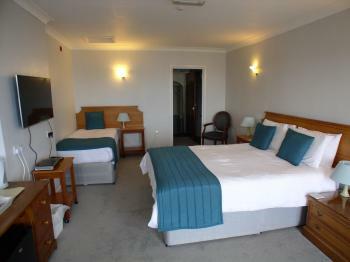 The recently refurbished, standard double rooms have new king size beds, "soft as silk" linens, a flat screen TV with full "Sky" channels including Sky Sports (no films), excellent free high speed wi-fi internet, refrigerator, tea and coffee making facilities, iron and ironing board, hairdryer and USB charging sockets.There is an en-suite shower room. 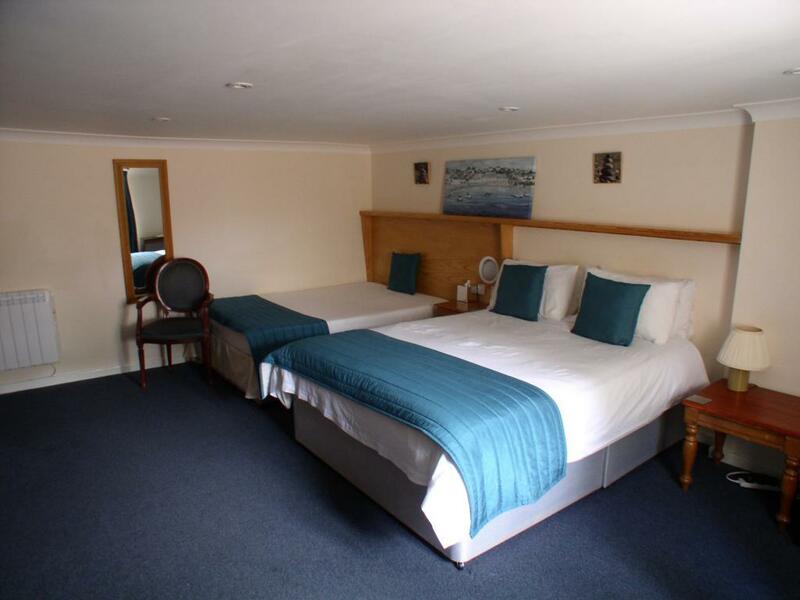 The large double or twin rooms have a new king size bed and new single bed. 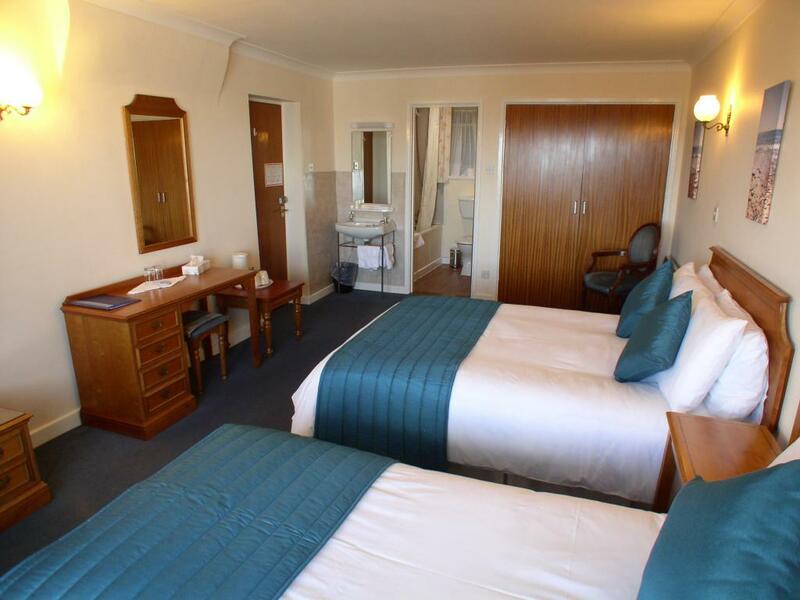 Maximum occupancy is 2 people. 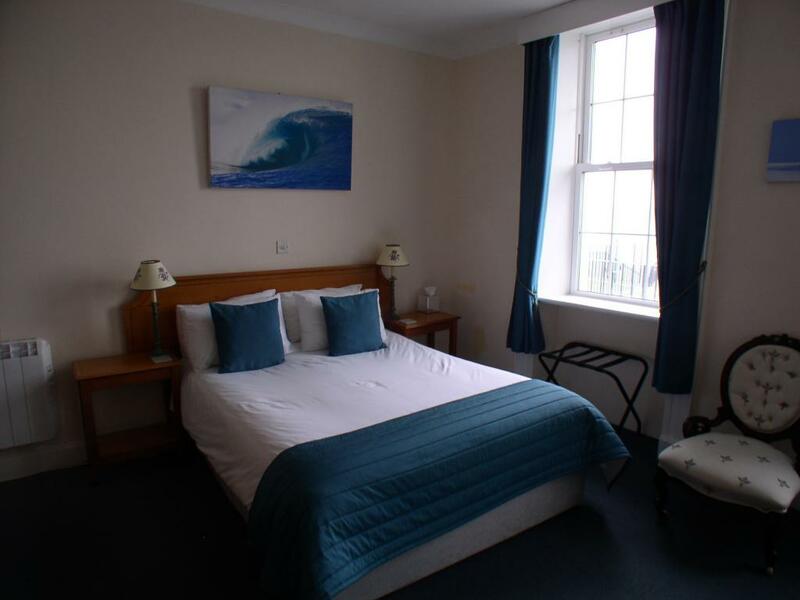 The rooms include "soft as silk" linens, a flat screen TV with full "Sky" channels including Sky Sports (no films), excellent free high speed wi-fi internet, refrigerator, tea and coffee making facilities, iron and ironing board, hairdryer and USB charging sockets.These are very large rooms for 2 people and ideal for longer stays. 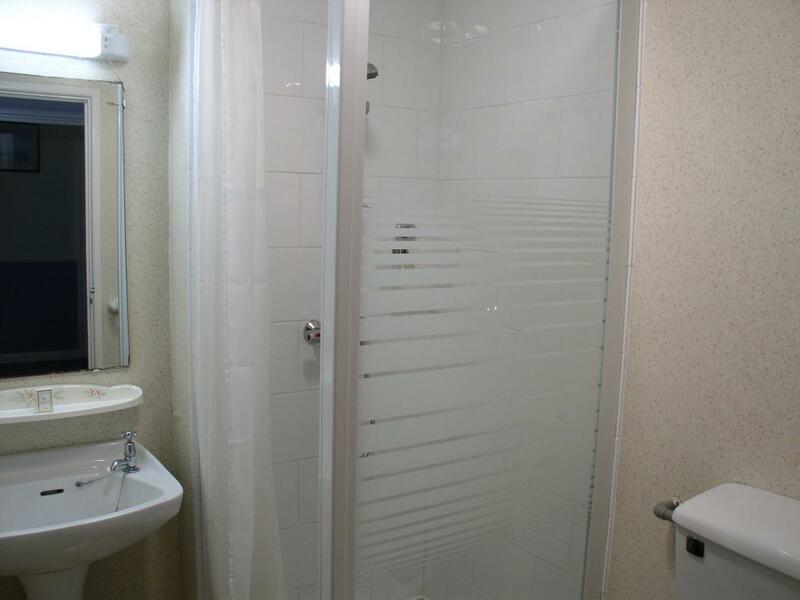 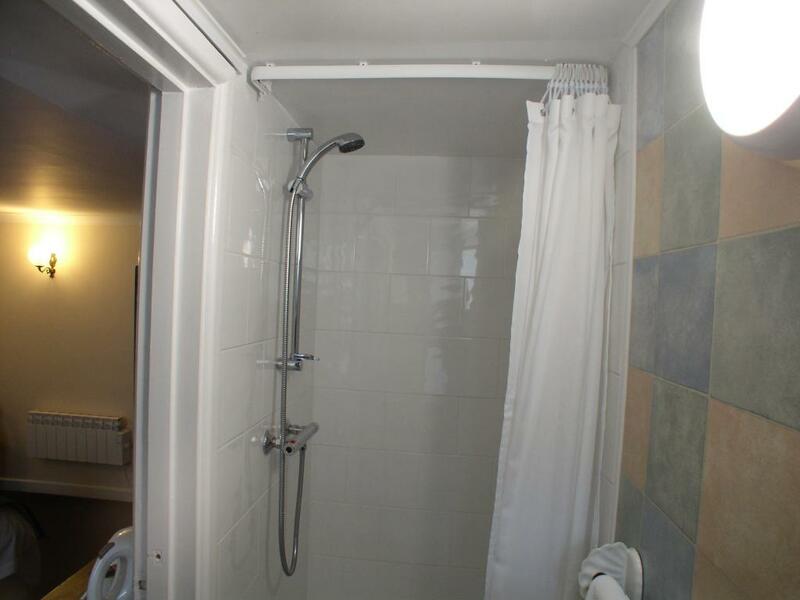 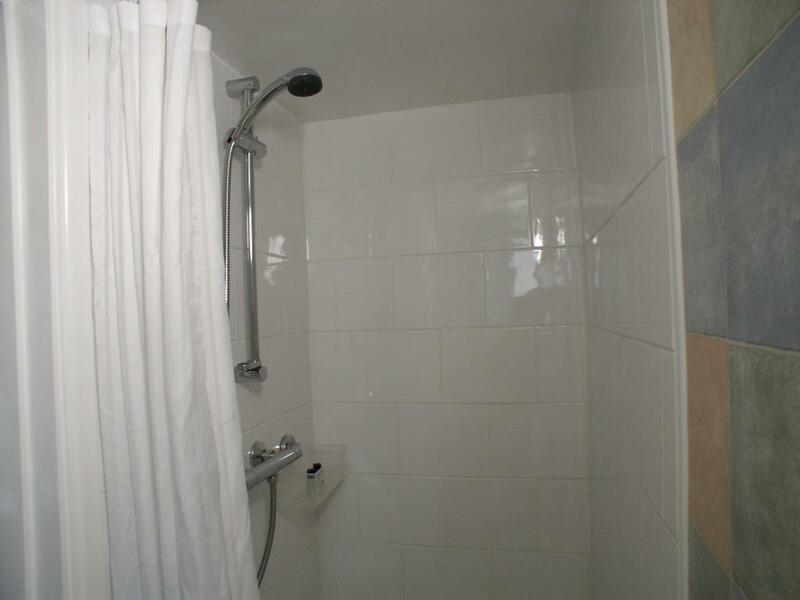 There is an en-suite shower room. The recently refurbished, sea-view double rooms all have superb views across the bay, new king size beds, "soft as silk" linens, a flat screen TV with full "Sky" channels including Sky Sports (no films), excellent free high speed wi-fi internet, refrigerator, tea and coffee making facilities, iron and ironing board, hairdryer and USB charging sockets.There is an en-suite shower room. 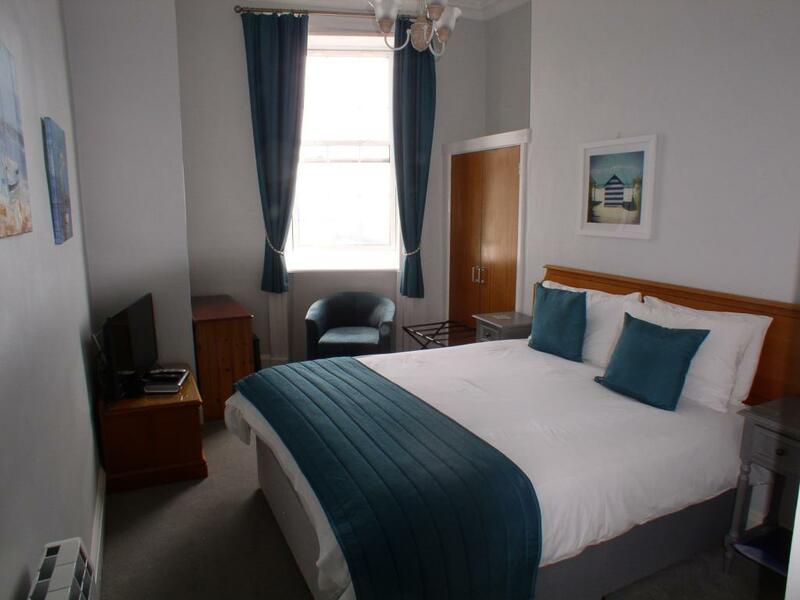 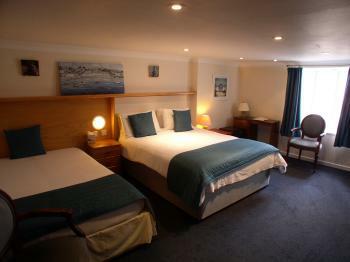 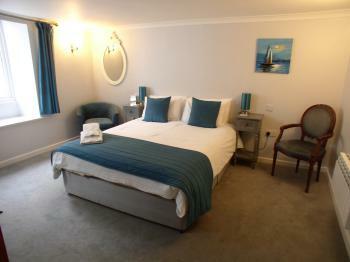 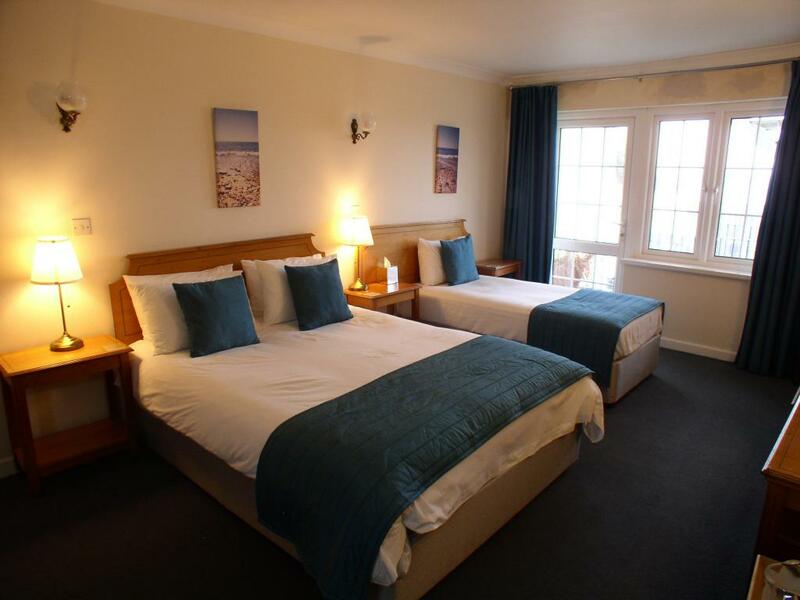 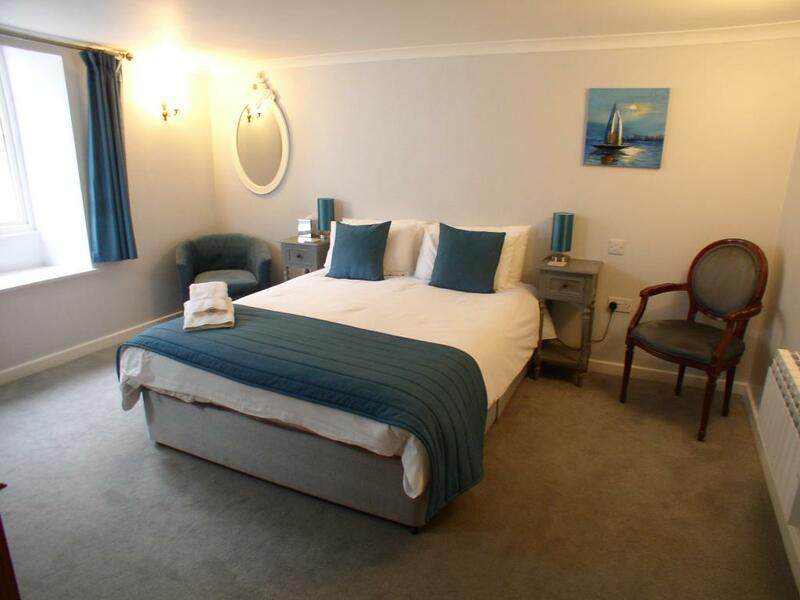 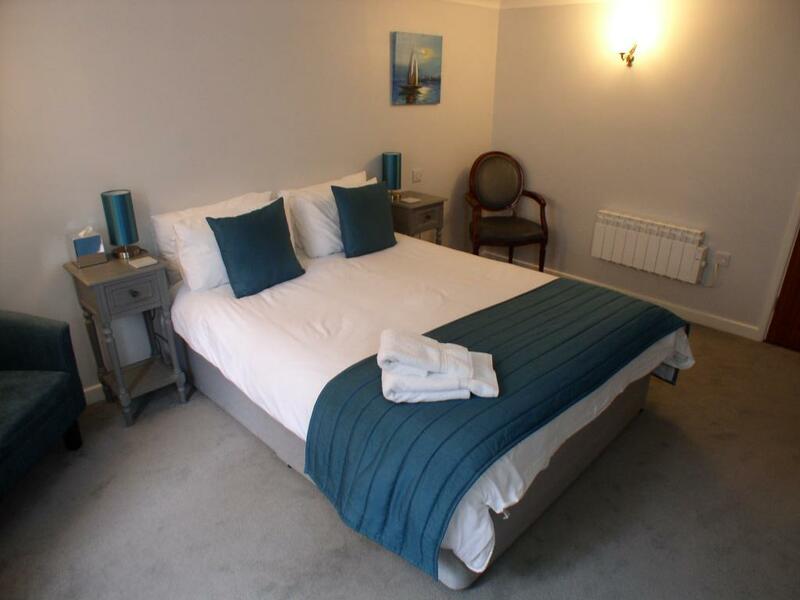 The recently refurbished, superior sea-view double or twin rooms have a new king size bed and a new single bed. 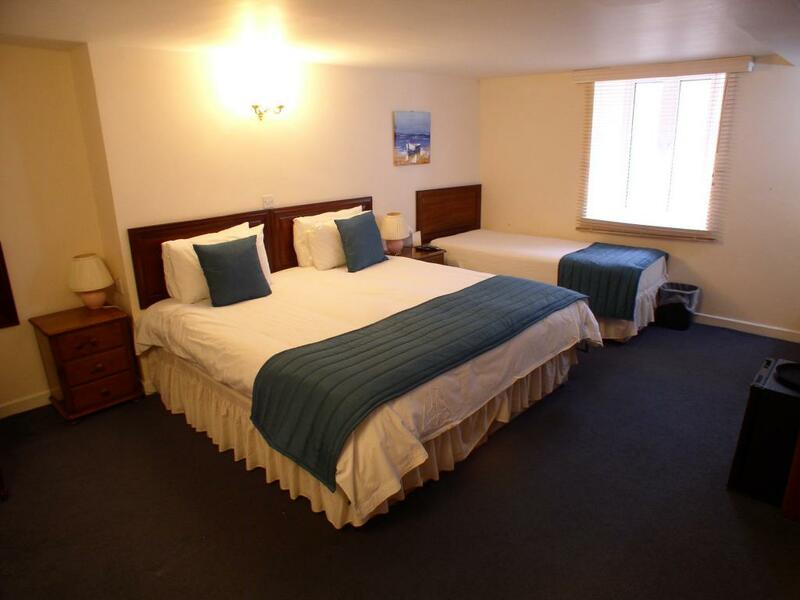 Maximum occupancy is for 2 people. 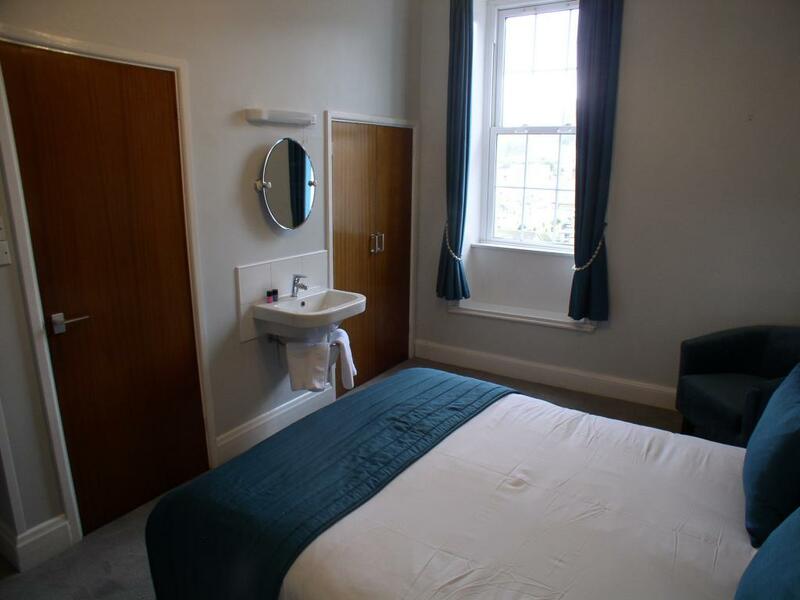 The rooms include "soft as silk" linens, slippers and bathrobe a flat screen Netflix accessible TV with full "Sky" channels including Sky Sports (no films), excellent free high speed wi-fi internet, refrigerator, tea and coffee making facilities, iron and ironing board, hairdryer and USB charging sockets.There is an en-suite bathroom with shower over. 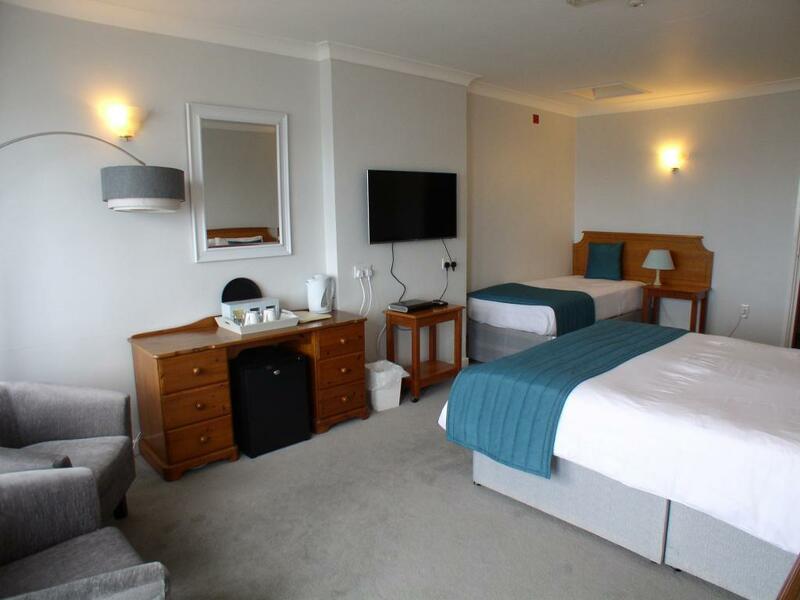 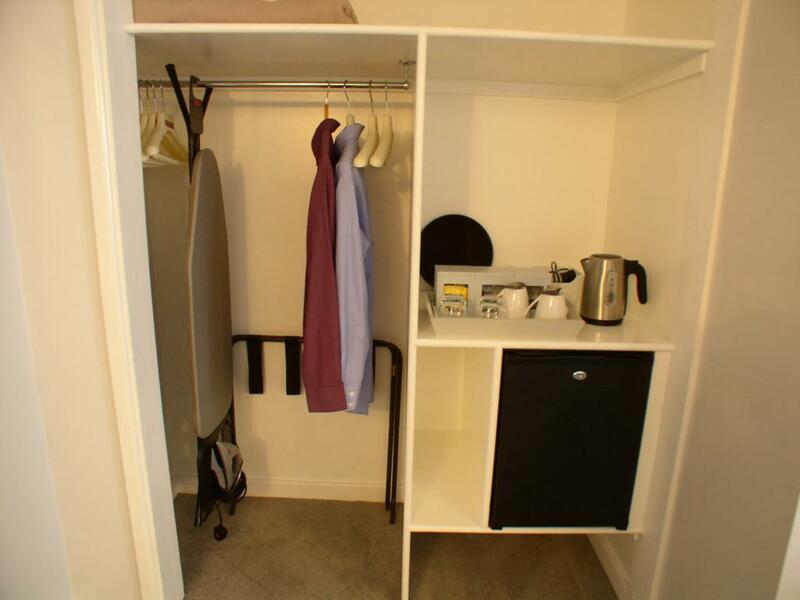 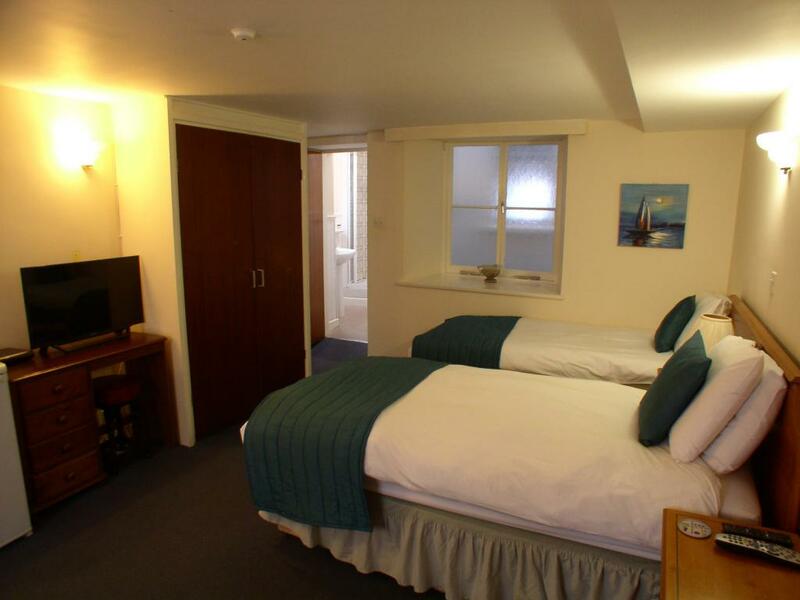 These are very large rooms for 2 people and ideal for longer stays. 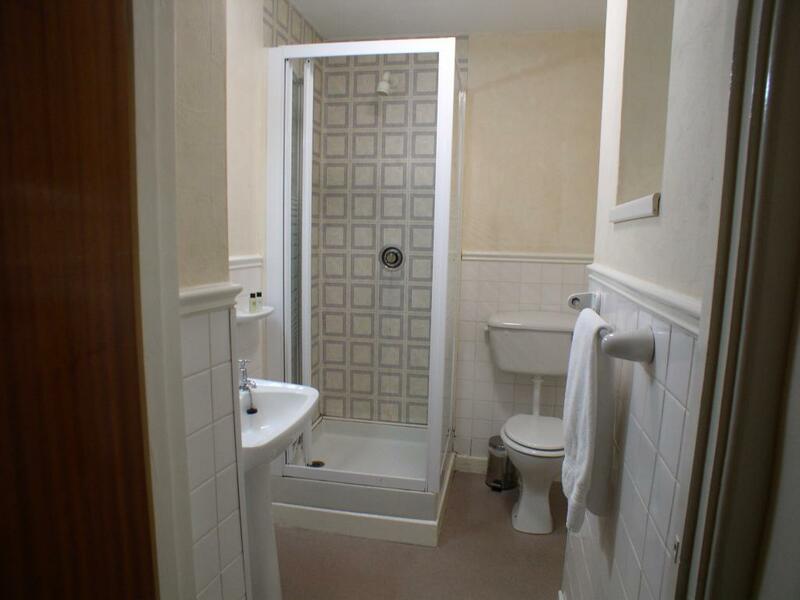 There is an en-suite shower room. 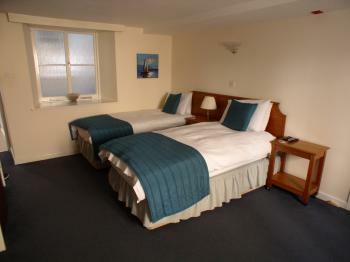 This ground-floor room has new beds and can be used either as a double or a twin, but is for a maximum of 2 people. 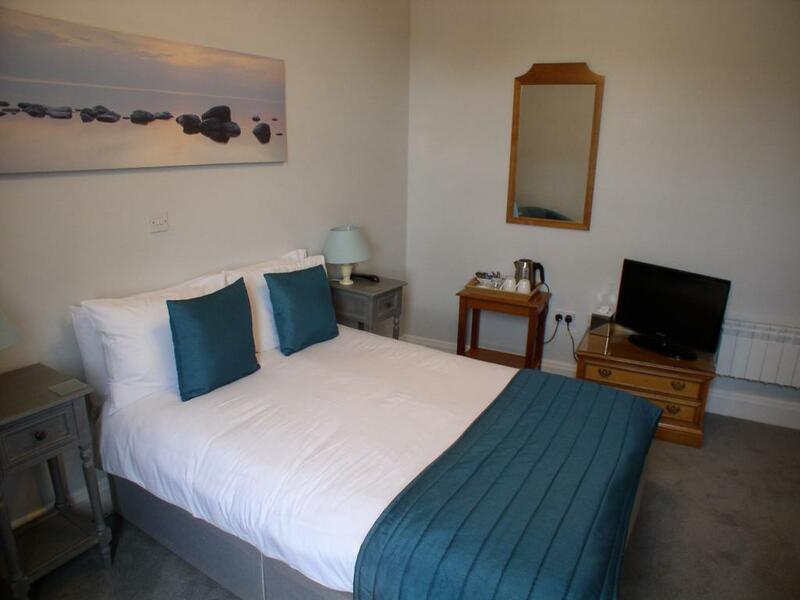 The room has "soft as silk" linens, a flat screen TV with full "Sky" channels including Sky Sports (no films), excellent free high speed wi-fi internet, refrigerator, tea and coffee making facilities, iron and ironing board, hairdryer and USB charging sockets.There is an en-suite shower room.